I’m here to tell you to keep the old and make it look new. 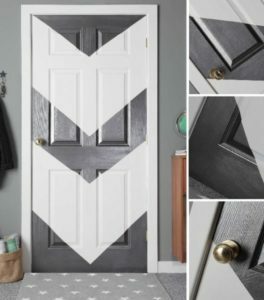 The best part of this is you can save lots of money as well as creating a whole new style to your home. 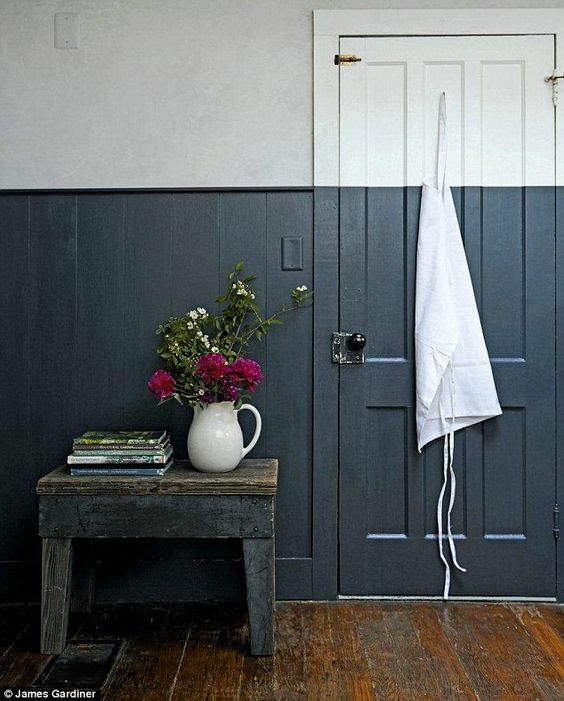 Plants- Yes plants, bringing a plant into your home can make a real difference and can have vibrant colours without having to paint them onto the wall. If your living room is feeling dull a simple idea is placing a plant in your home. To make this experience more unique I would recommend placing your plant in a wooden box. 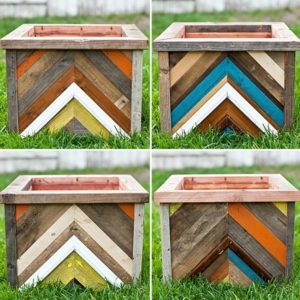 Wooden boxes are becoming more popular than ever, they are easy paint which means you can design them how you like. By having plants in your home, it can look quite classic, try using a a metallic top coat to show a more modern look. 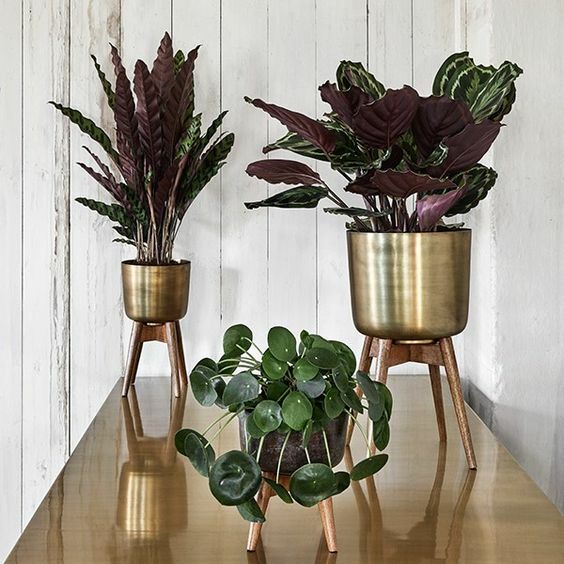 I enjoy the shine on these plant pots, which can also match other metal furnishings in your home. 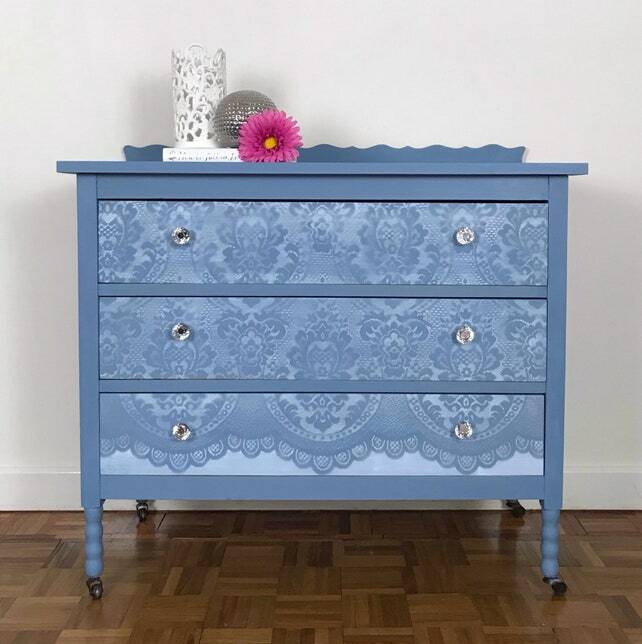 As I said before, my favourite tip is adding lace design on furniture. This idea is very individual and there are so many patterns to choose from. You could even use this effect on garden furniture and also metal gates. This trend has been rising throughout 2018 and during 2019 we estimate that ‘Up-cycling’ trends will continue to grow. In children’s bedrooms you can have lighter colours that the children could choose. If you were to buy pre-painted furniture, it would be much harder to then re-design this. This could potentially cost you a lot more money. 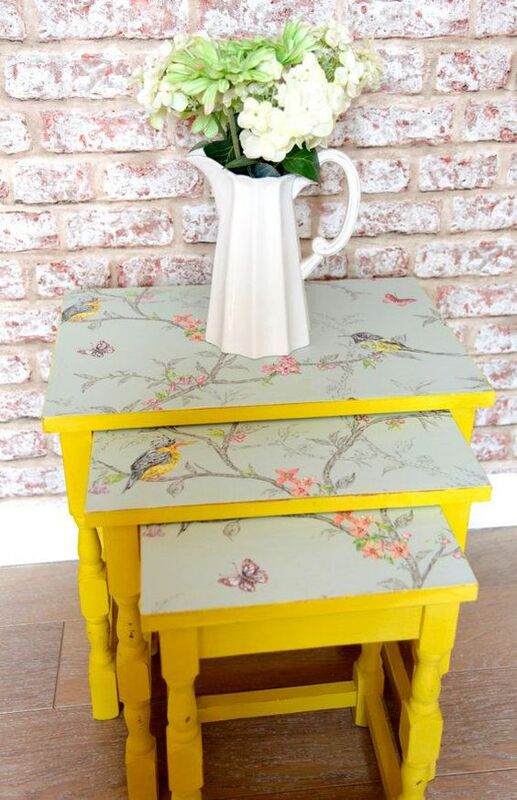 Below is an example of a nest of table that has been painted in a bright yellow, this set of tables would stand out in any home, and rather than having the colour on top, you could use wall paper to place on top of the tables and then seal this down with a clear water based sealer. This would then be a staple eye catching piece based in your living room or even your bedroom. 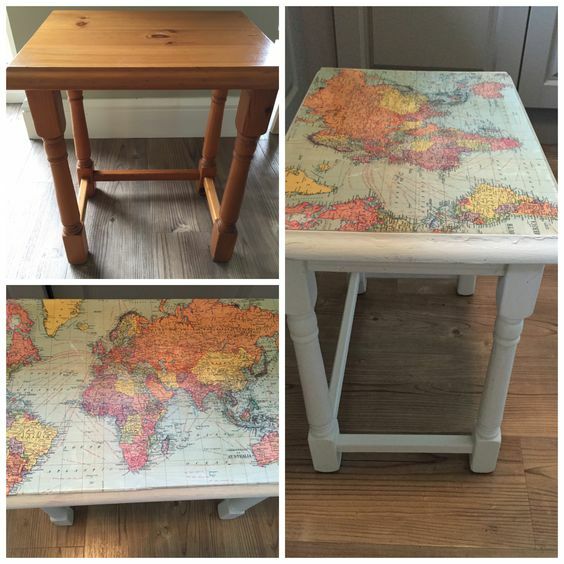 My personal favourite design is using old maps/newspapers, this leaves a rustic feel within your home, below is pictured a map with a white table, however for a more distressed wooden look it would be worth trying using Graphite Chalky paint, after you have painted the wood begin to wax the paint and this will leave you with distressed look. There you have it some more ideas to update your pre-existing furniture! There are many ways to simply save and update your furniture and all these ideas can cost under £20 ! Definitely worth saving money in the new year. If you’re are stuck for any ideas you could always call one of our technicians . The number to call is 01902 710057. No matter what you’re painting from a piece or wood to an aeroplane, our technicians have first hand experience of which products to use.